Acknowledge “Firsts” // Whenever people take any type of “first” action with your church, celebrate it and reward it. Often churches send first-time donors letters but why stop there? Maybe on Mondays you could call people who have just volunteered for the first time on the weekend. Is there some way you could reward them for stepping up to serve? How about having the children’s ministry team reach out to parents who checked in kids for the first time last week? Or following up on Thursday or Friday to ask guests if they have any questions before this coming weekend? Each of these “firsts” could be set up as a report in your church database and run before you reach out with the specific action. People will be touched that your team noticed and consequently be drawn closer into your community. Get Teams & Groups Communicating // Over time, church leaders who work hard to develop community realize they need to move people from interacting with staff to talking amongst themselves. Leaders need to see ourselves as a platform for communication rather than the conduit or switchboard. Church Community Builder has a set of tools that empowers churches to have their teams and groups communicate directly. 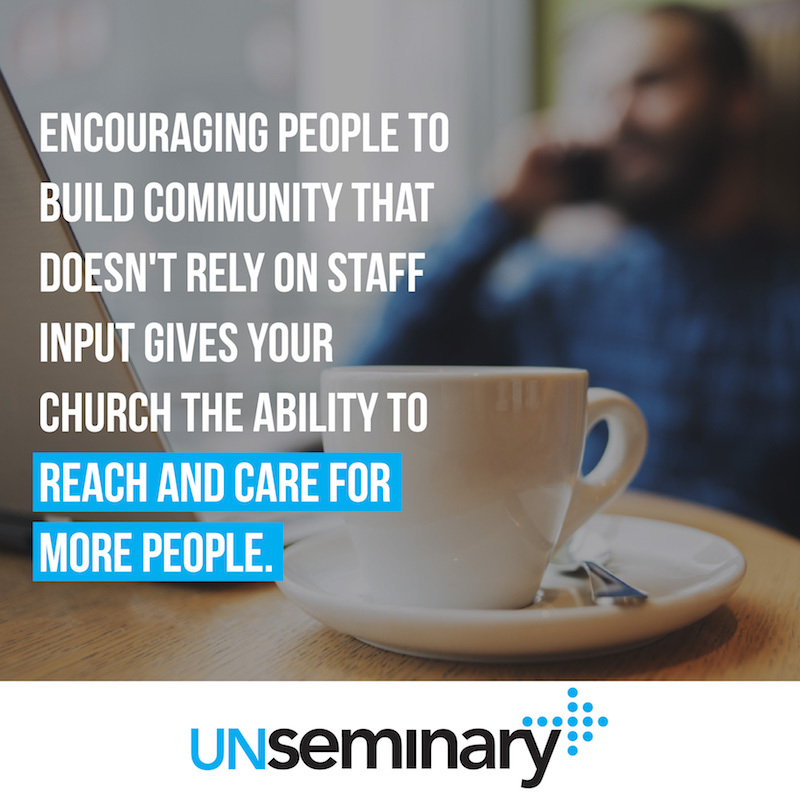 Encouraging people to build community that doesn’t rely on staff input gives your church the ability to reach and care for more people. Even something as simple as an attendance-taking function that’s connected to a way to send emails to people who attended an event or were part of a team helps bring people together. Leverage your database to empower people to interact with one another. Take Notes & Save Them // Stop trying to remember everything about the people at your church … you simply can’t do it! 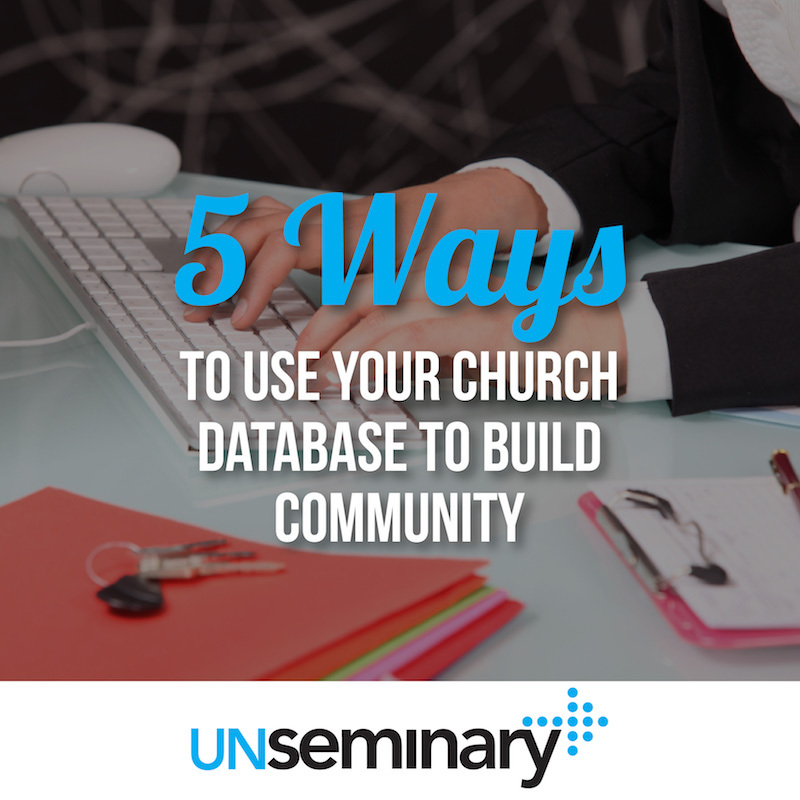 Once your church gets beyond a few hundred people, there are too many personal details to stay on top of, so you need to develop a system for gathering information and storing it for future retrieval. On weekends at your church or when you are meeting people, it’s rude to have your phone out taking notes … looking like you might be playing Angry Birds or catching up on the latest YouTube video. Use a tool like a pocket briefcase to write notes and reminders as you interact with people and then drop those notes into your church database for future use. Church Community Builder gives you the ability to write both “public notes” that your entire team can see and “private notes” for your eyes only that could contain more discreet information. When you interact with people in the future, the information you’ve captured will be ready for conversation and connection. As your entire team builds up notes over time, your database becomes a powerful tool to help you interact with your community! Build a Follow-Up Process // The process by which people get connected to your church needs to be easy and strategically move people closer to your community. 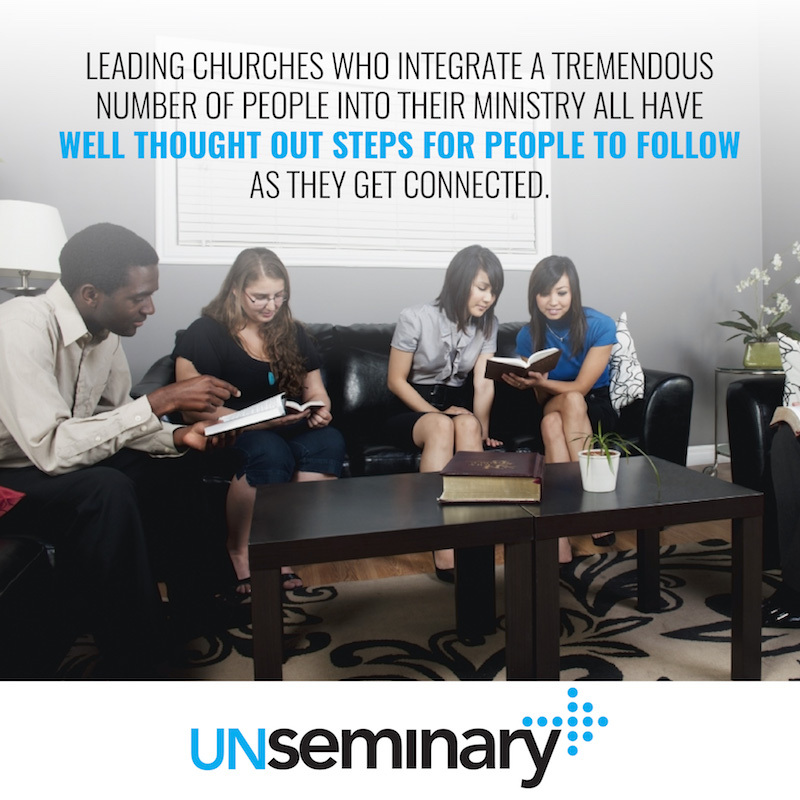 Leading churches who integrate a tremendous number of people into their ministry all have well thought out steps for people to follow as they get connected. Rather than a smorgasbord of connection options, the trend is clearly toward a step-by-step path that people follow. (Listen to the interview with Greg Curtis from Eastside Church in Anaheim, California, for a perfect example of an approach to assimilation.) Your database should track and aid people through this process. In fact, Church Community Builder has a sweet approach called “process cues” that help you keep track of where people are in your connection paths and move them to the next steps. Mapping out your process and then using your database to follow people through the steps reduces the opportunities for people to “fall through the cracks” and get lost in the process.